Last edited by Pomse2001 on Fri Feb 08, 2019 12:21 pm, edited 35 times in total. Went in the attic the other week and found this lot! Great photo, a vintage treasure trove! Has your loft been insulated xpack, you not worried about the temperature swings etc? Cool collection, does all of you have your collections at the loft ? I'm not married, but aiming to get my collection in the loft. Once I get it renovated! 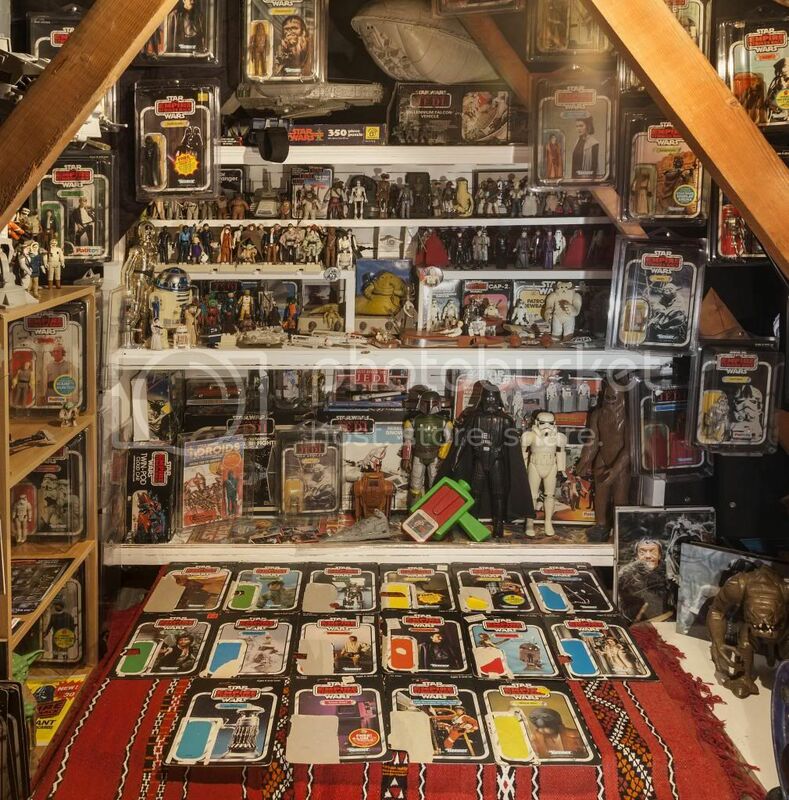 sith-smith wrote: I'm not married, but aiming to get my collection in the loft. Why are you moving it to the loft, if you are not married ? He also had some figures but most of them was sold and there was only beaters left. That I did not want. Last edited by Pomse2001 on Thu Mar 21, 2019 11:36 am, edited 1 time in total. Great idea Lars. I do agree, this type of thing is so cool when it happens. Still my favorite part of my collection.